During Summer Holiday on June, we went to a beach. Well, not a real beach but a pool of beach sand. 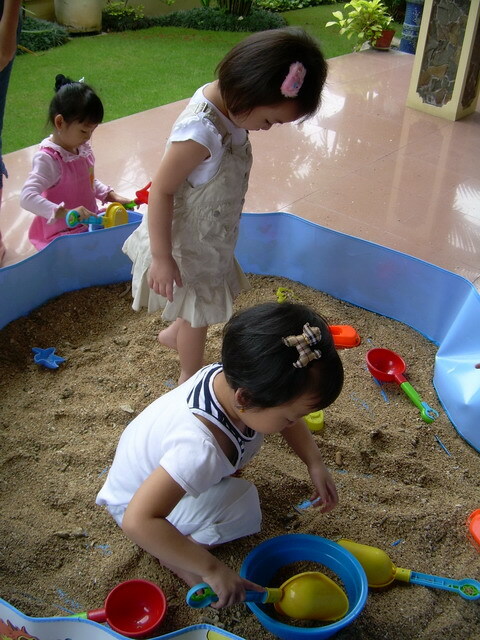 Yeah, I arranged to bring 2 big packs of sand and put them in my plastic pool (I bought it for that day!). Some of my students never knew what is like to be at the beach. So, you can imagine how excited they were! 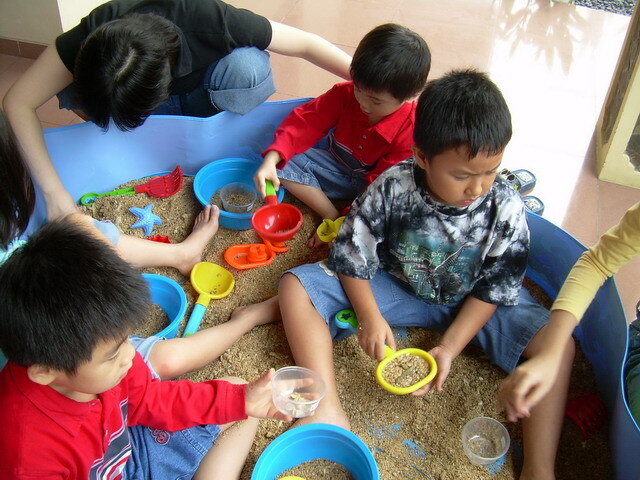 They played with the sand using plastic tools and they could even collect their own shells to bring home. At first, they chose to stand outside the pool. I did not know why, but I guess they were afraid to get dirty. Then I asked them to jump into the pool. They could wash their hands and feet after playing after all. They did it and – guess what – they did not want to come out from the pool. I believe when we bring children to the real experiences, they can learn more than what they get in the classroom. Even in this ‘fake’ beach. They still able to explore a lot of knowledge and information about beach and the lives around the sea. Don’t forget, children always ask around to satisfy their hunger of knowledge. 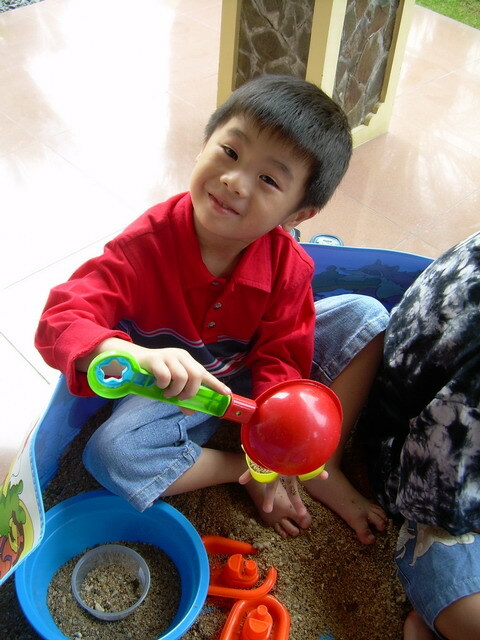 After having a fun session outdoor, now they have to do activities in the class. 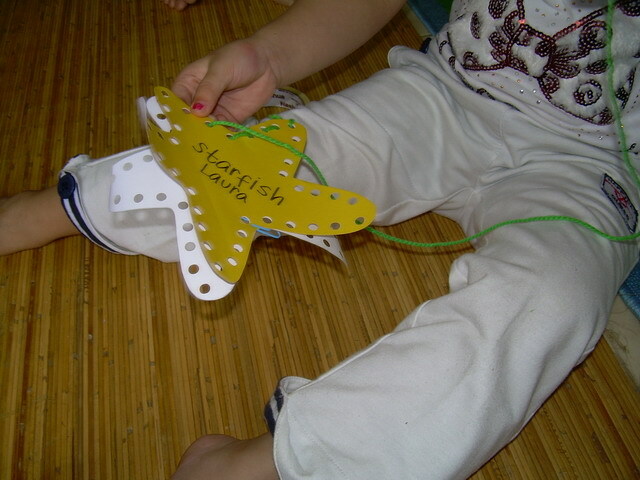 For younger children (morning session), they made a paper starfish. Children needed to sew according to the holes. This simple activity could help the children to master fine motor skills and prepare them to write better in school. 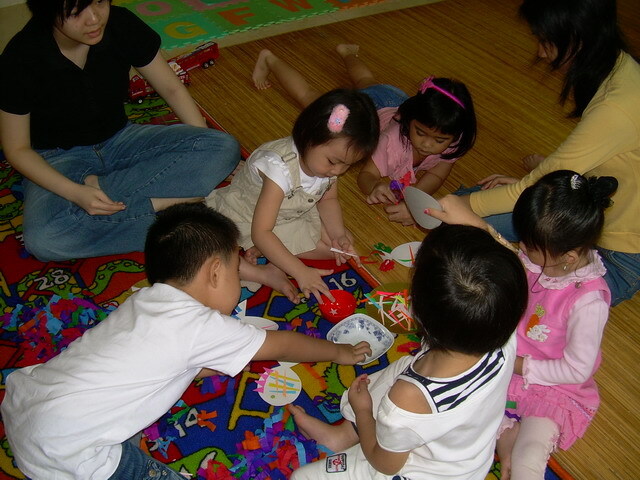 They also engaged in activity to make paper fish and tracing a picture of fish. A pattern of fish was prepared by teacher. 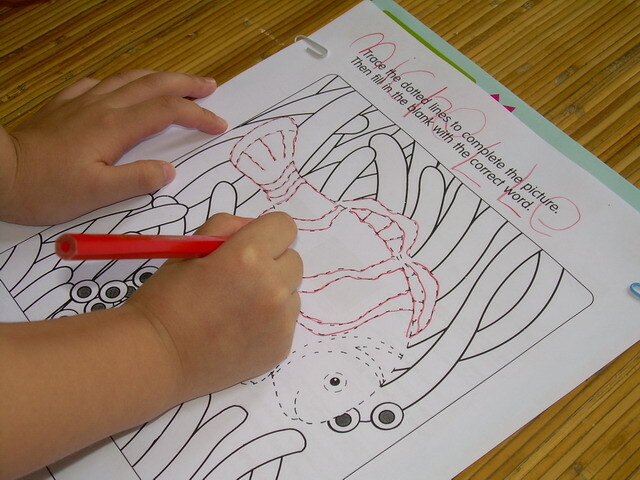 Then, children need to complete the parts of fish by pasting them to the pattern, such as: eyes, mouth, scales and tail. These two activities were designed to make it easier to explain about the body part of fish to the children. It’s the end of the day… Time to go home! That is such an awesome idea! My munchkin is too young for that at the moment, but I will remember this when he’s older.